Just who are the Beatles anyway? The Beatles were a four piece band from Liverpool, England and were, and still are, one of the top musical groups of the 1960's. Much has been written about the members of the Beatles since they burst into popular culture in 1962 and more will be explored (and written) about one of the greatest musical groups of all time in the blogs found on this site. John Lennon Through The Years. John Winston Ono Lennon was born in Liverpool, England on 9th October 1940. He is generally regarded by many to have founded the Beatles and is often seen by historians as the band's leader despite the four strong personalities within the group. Indeed, when people refer to the Beatles individually it is usually John's name spoken first. 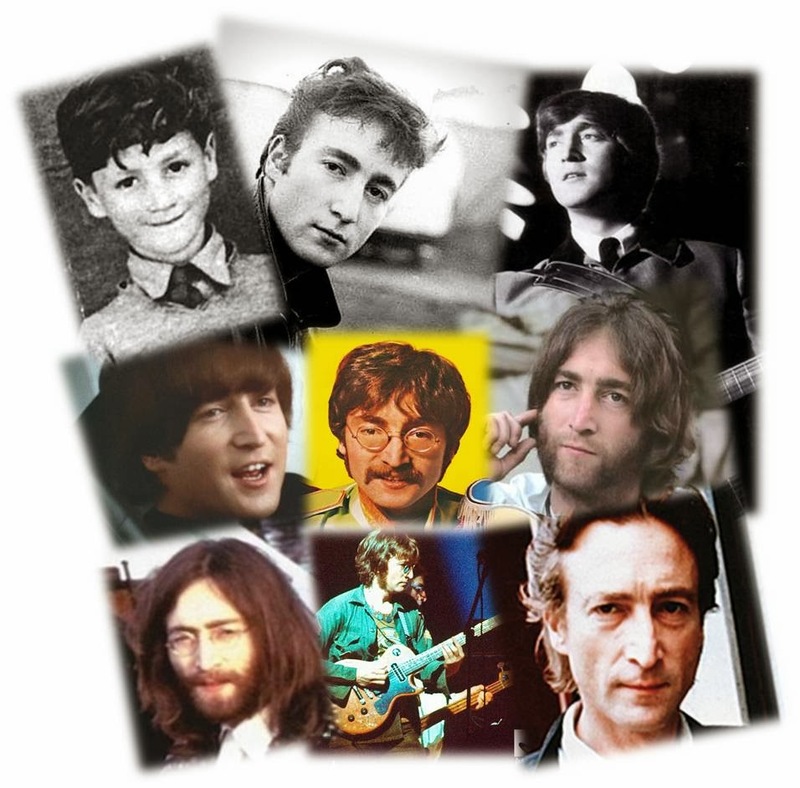 John's personal history is also the most dramatized out of the four Beatles, although this could have something to do with the tragic circumstances of his death in 1980. Lennon began his musical career at the age of 16 when he founded the Quarrymen in 1956. this band was initially made up of Lennon on guitar and lead vocals and his schoolmates Len Garry, Pete Shotton, Rod Davis, Eric Griffiths and Colin Hanton. A few other friends of Lennon came in and out of the Quarrymen but it was a summer day in 1957 when at a church fete gig a young Paul McCartney, who himself played guitar and sang, was watching the Quarrymen play. Lennon & McCartney briefly met but it was their destiny to be together and a short time later, Paul McCartney had joined the Quarrymen and the two quickly carved up the atmosphere together. Paul introduced John to another guitar player, George Harrison. These three would form a tight bond together as the other members of the Quarrymen faded away and the band became the Beatles. When Ringo joined in 1962, the puzzle was complete and the Beatles became the biggest phenomenon that the world has ever seen. John Lennon left the Beatles in 1969 with Paul McCartney announcing the split publicly in April 1970. Lennon embarked on a solo career with wife Yoko Ono which sometimes saw him collaborate with George and Ringo on their albums and vice versa. In 1975, John decided to retire from music and dedicate his time to his family and he remained in retirement for 5 years until in October 1980 he released a single with the album 'Double Fantasy' following in November. What was to be a new beginning for John was tragically ended on 8th December 1980 when a mentally ill person who claimed to be a fan shot him dead in the doorway to the Dakota apartment building where Lennon lived in New York City. This sudden and tragic end to the life of John sparked outpourings of grief worldwide, not least by his three former bandmates in the Beatles. George released 'All Those Years Ago' as a tribute to his late friend and Paul wrote 'Here Today' which he still performs live today in honour of his old songwriting partner. 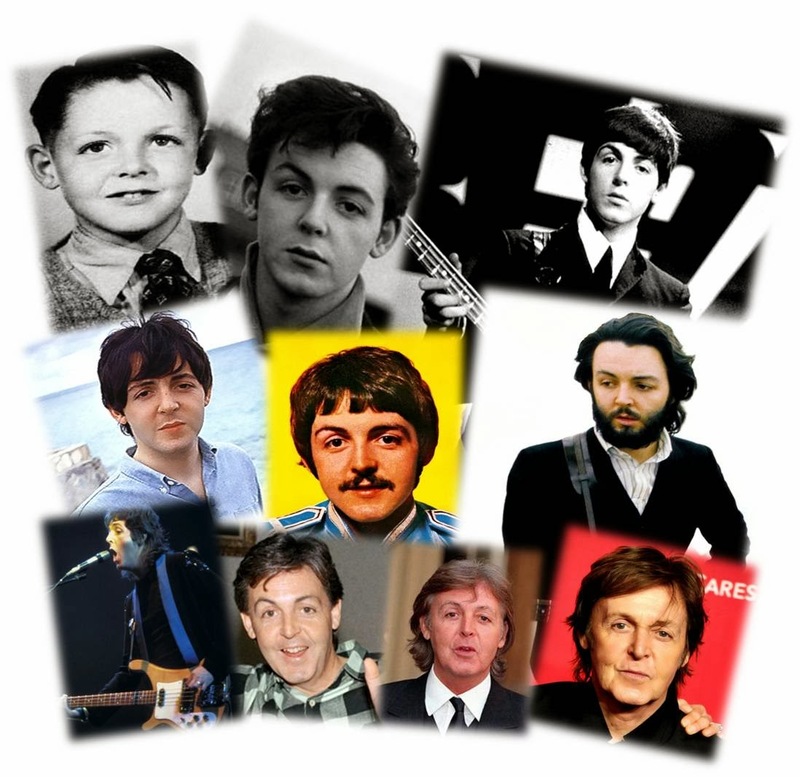 James Paul McCartney was born in Liverpool, England on the 18th June 1942. He is regarded by many to be the most musically proficient Beatle, teaching himself a number of instruments such as Piano, Drums, Guitar and his primary instrument, Bass. Paul studied at the Liverpool Institute with George Harrison, who was in the year below him and both of them became friends due to their love of music. When they both joined the Quarrymen their path together was set for the next 12 years as the Quarrymen became the world famous Beatles. Paul was very driven to be successful from the beginning and it is said that he once took Brian Epstein aside and quietly told him that if the Beatles didn't become famous that he would still like him to be his manager. Paul has gotten an unfair amount of criticism for his role in the Beatles break-up, mainly due to McCartney's use of the announcement to sell his debut solo record 'McCartney' in 1970. After the death of Brian Epstein, Paul became the Beatles' artistic manager, it was never an official position but that is the best way to describe his role in the management of the Beatles after Epstein. McCartney was unwilling to sign up notorious American businessman Allen Klein as the Beatles manager which angered John, George & Ringo who had already agreed that he would handle their affairs. Also, many have cited John Lennon's immediate post Beatles interviews where Lennon was harsh in his treatment of his former songwriting partner. As it turned out though, Paul was right to steer clear of Allen Klein as he screwed over John & George's affairs in the 1970s. After the Beatles split, McCartney formed Wings with his wife Linda and ex-Moody Blues guitarist Denny Laine in the 1970s and continued to release albums with them. In 1973, Wings became the first rock band to record the theme to a James Bond film, 'Live and Let Die'. Wings went through many line-up changes until early 1980 when Paul got busted in Japan for possession of Marijuana. This effectively ended Wings and when McCartney learned of the death of his friend and former band mate John Lennon, it scared Paul from performing live until 1989 when he put a new band together and went out on a world tour. Paul still continues to play live to this day In 2018, he scored a number one album with 'Egypt Station'. 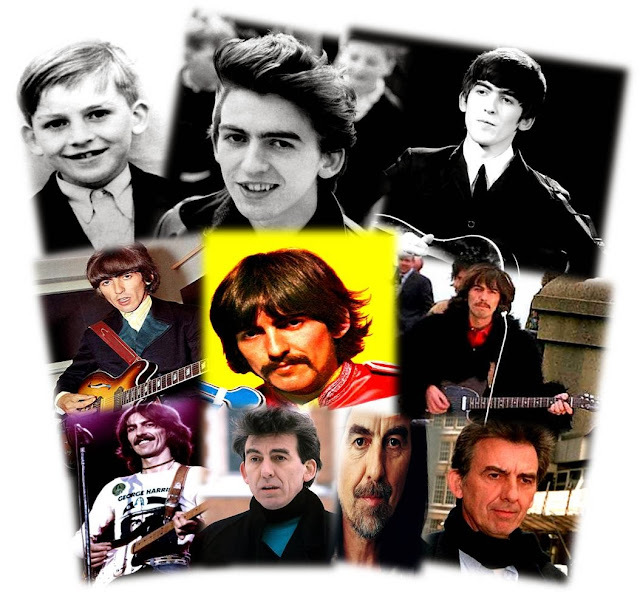 George Harrison was born on February 25th 1943 in Liverpool, England. Compared to John, Paul & Ringo, George's early life was pretty stable and he had the love and support of all his family. He began his life in 12 Arnold Grove, Wavertree and his earliest memory was sitting at the top of the stairs on his potty doing a poo and shouting "Finished!". But George was far from finished where his life was concerned. In 1950, the family moved out of Arnold Grove and over to 25 Upton Green in Speke, an area which houses what was then called Liverpool airport. It's now known as the Liverpool John Lennon airport. As the youngest member of the Beatles, George was always happy playing guitar and he would sing lead on a few numbers but it wasn't until the Beatles recording career started that George tried his hand at songwriting, his first song 'Don't Bother Me' was featured on the Beatles second album 'With The Beatles' in 1963. George later said he didn't care much for the song and wrote it when he was ill in bed during a Beatles tour of Britain in 1963. When the Beatles came to an end in 1970, George emerged with a massive hit album 'All Things Must Pass' and during the 70s he remained active in recording albums and singles. A disastrous 1974 tour of the United States put him off touring for nearly 20 years and George was content to tend to his huge garden at Friar Park in Henley-On-Thames and make an album when he felt like it. In 1978, George set up Handmade Films to produce and distribute the Monty Python film 'The Life of Brian' after EMI pulled out due to the controversial nature of the film. When asked why he wanted to finance the film, George replied "because I want to see it" and the Python team all agreed that it must have been the most expensive cinema ticket in history. Handmade Films' other credits include: 'The Long Good Friday' (1980), 'Time Bandits' (1981), The Madonna and Sean Penn film 'Shanghai Surprise' (1986), in which Harrison himself makes a cameo, 'Withnail & I' (1987) and 'Nuns on the Run' (1990). George sold the company in 1994. After the death of John Lennon in 1980, Harrison became even more reclusive and remained so for much of the 1980s, with 1982's 'Gone Troppo' being his last release for 5 years. In 1987 he returned with 'Cloud Nine' which was hailed as his best album in years and also had a major hit with 'Got My Mind Set On You'. It was also around this time that Harrison teamed up with Bob Dylan, Jeff Lynne, Roy Orbison and Tom Petty to form The Travelling Wilburys. This spawned two albums known as 'Volume One' in 1988 and 'Volume Three' in 1990. In case you're wondering, there is no Volume Two. Orbison's death in 1988 kind of put the Wilburys band to bed and even though there was talk of a tour, it never came to fruition. After a tour of Japan with Eric Clapton in 1991, Harrison got involved in the Beatles Anthology and, as such, didn't release any new music besides the two new Beatles singles 'Free As A Bird' in 1995 and 'Real Love' 1996. The end of the decade was a troubling time for George, in 1997 he was diagnosed with throat cancer, which was operated on successfully. Then in 1999, a psychopath broke into his Friar Park home while he and his wife Olivia were sleeping and stabbed George more than 40 times. Olivia managed to subdue the intruder by striking him repeatedly with a lamp. George survived. Close friend Eric Idle recalled: "George had just hired a new house manager and as he was being stretchered out into the ambulance in his bloody pyjamas, he asked him 'What do you think of the job so far? ', he also asked me on the telephone why this didn't happen to the Rolling Stones!" After this, it emerged the cancer had returned and this time there was very little that George could do to stop it. After a year of treatment at various clinics and a somber goodbye to his family and friends and former bandmates Paul & Ringo, George died on the 29th November 2001 at 58. His last album, 'Brainwashed' was completed and released the following year and his old friend Eric Clapton organized a tribute to him 'Concert For George' at the Royal Albert Hall which featured performances by all the musicians George had worked with in his life. 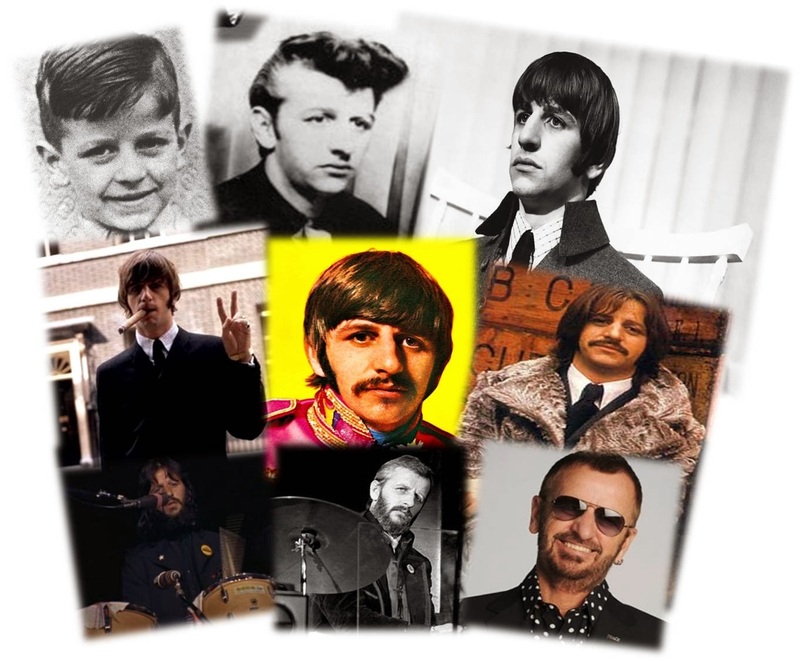 Richard Starkey was born on July 7th 1940 in Liverpool, England. As a young child, Richard was in and out of hospital with various bouts of illness. It was while in hospital that young Richard started tapping his fingers, foreshadowing what was to become of him. Richard had many dreams when he was a teenager, one was that he wanted to go to sea as a merchant seamen, another was to emigrate to Houston, Texas to live with his blues hero Lightnin' Hopkins. He joined a neighbour's band called The Eddie Clayton Skiffle Group. This group disbanded as Eddie was getting married but Richard soon found work with other skiffle groups and by 1959 was playing with the top band in Liverpool, Rory Storm and the Hurricanes. It was during a stint at Butlins holiday camp that Richard decided on a stage name: Ringo Starr, on the account that he wore a lot of rings. Ringo's apprenticeship was with Rory and in the Autumn of 1960, the group went to Hamburg, Germany to play on the Reeperbahn. While there, Ringo met and became friends with another band that had come over from Liverpool called The Beatles. Ringo would continue to see, hang out and occasionally sit in with the Beatles in both Germany and Liverpool. By 1962, John Paul & George realised that Ringo was the drummer they needed. Ringo was the last to join the Beatles and thus, the band was complete. Within a year they were stars in Britain and Europe and the year after that they conquered the rest of the world. Ringo was also responsible for the song titles of 'A Hard Day's Night' and 'Tomorrow Never Knows'. On early albums, Ringo was given songs to sing by John and Paul but eventually started writing his own material towards the end of the band's lifetime and his song 'Octopus's Garden' on their final recorded album 'Abbey Road' is a classic song that enthralls children of all ages. After the Beatles split, Ringo released a steady stream of solo albums, the most famous of which was 'Ringo' in 1973 and always remained close with his former bandmates, most notably George Harrison whom he worked with on several occasions up until George's death. By the end of the 1970s Ringo's solo career was dwindling and his alcoholism was becoming a huge problem. In 1984 he narrated the first two seasons of Thomas The Tank Engine and Friends which got him a whole new generation of fans. By 1988 he and his wife Barbara Bach had hit rock bottom in regards to their drinking and they attended a detox clinic in Arizona. This proved to be a re-birth for Starr as the next year he formed the All Starr Band which has included an ever changing line-up of famous musicians. Ringo still tours with his band and his mantra of 'Peace and Love' will out live us all. 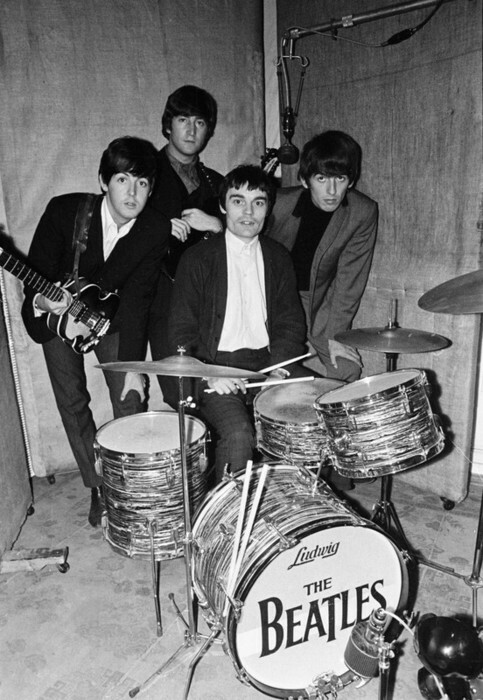 Pete was the Beatles original drummer for two years before Ringo joined up and he was rather cruelly and unceremoniously fired from the band. Although Best insists he was never given the real reason for his dismissal, the other Beatles and their producer George Martin have given several theories as to why. Whatever happened, Best played with them during the bands' crucial formative years in Hamburg. Pete is still active today with his own band and released the original album 'Hayman's Green' in 2008, featuring songs written by Pete with his brother Roag. 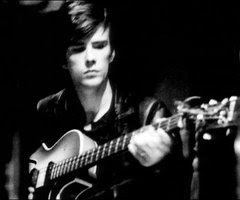 Stuart Sutcliffe was the original bass player of the Beatles before Paul took over the role. While the band were in Hamburg they met photographer Astrid Kircherr who took the definitive portraits of the Beatles in their pre-fame years. Stuart and Astrid fell in love and Sutcliffe left the Beatles in mid 1961 to stay in Hamburg with her and pursue his love of painting. Thus missing out on being a member of one of the biggest selling musical groups of all time, though he wouldn't live long enough to regret it. Tragically, Sutcliffe died of a brain hemorrhage in April of 1962, mere months before the Beatles released their first UK single that would see them become a worldwide phenomenon. Jimmie Nicol was drafted into the Beatles when Ringo Starr fell ill with tonsillitis on the eve of the bands' first world tour in 1964. Although the fans may have forgotten Jimmie, the Beatles never did. During his ten day tenure with the greatest musical group of all time, John and Paul would ask him how he was settling in and Nicol's reply would always be, "It's getting better." In 1967, Paul, while walking his dog Martha with Beatles biographer Hunter Davies, remarked that the weather was getting better, and began to laugh, remembering Nicol. This inspired him to write 'Getting Better' which was included on the Sergeant Pepper album. Again, during the sessions for Let It Be in 1969, when discussing a possible Beatles tour, McCartney remarked, "I think you'll find we're not going abroad 'cause Ringo just said he doesn't want to go abroad. You know, he put his foot down. Although Jimmie Nicol might go abroad." It's also said that McCartney wanted Nicol to be involved in the Beatles Anthology, but Nicol wasn't interested. Jimmie Nicol currently lives a reclusive life in London. Use your punctuation, next time. Chas Newby, who was in the Blackjacks with Pete Best, filled in for two weeks on bass after the Beatles returned from Hamburg. See Pete Frame's books for details. He wasn't there long, but he counts, I think. Like Jimmy N, not an official member, but he played in the Beatles, so I think he counts. Replying to above, The Beatles was on the top charts for a long time, They are not at all a bad band. I mean, according to today's standards, their music is *MUCH* different. I don't know what standards you have for "good bands" but, you can't really apply those to a 60's band. They did not have the same technology as we do know and everything sounds very different. Anyway, to all their own opinions. You need to update and include new information from Tuned In the 2013 biography, Like Paul brought in his pal George into the beatles. Your way it sounds like they joined at the same time. And note that Paul has a new album @ #1 this september, that Pete best retired from music and got back into it after he retired from his job, and pete benefited from anthology 1. But overall a good summary!